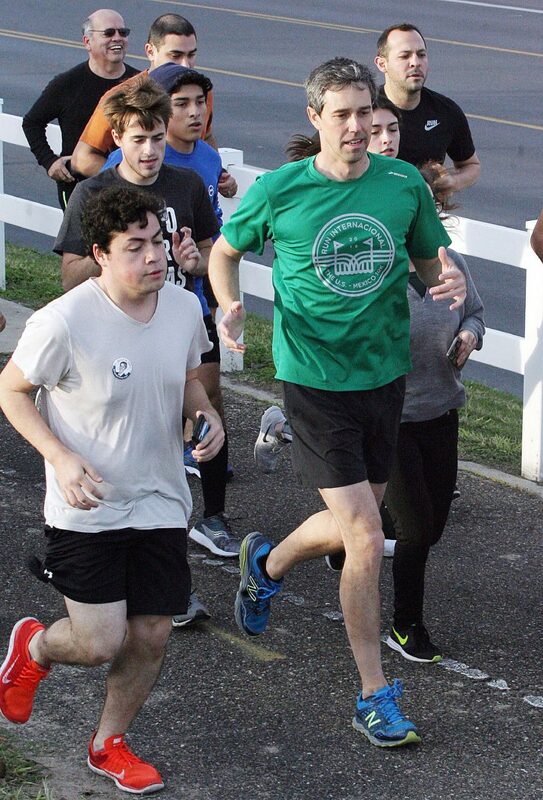 Beto O'Rourke, in green shirt, starts his 5k run with supporters running with him at Fireman's Park in McAllen on Sunday Jan. 7,2018. 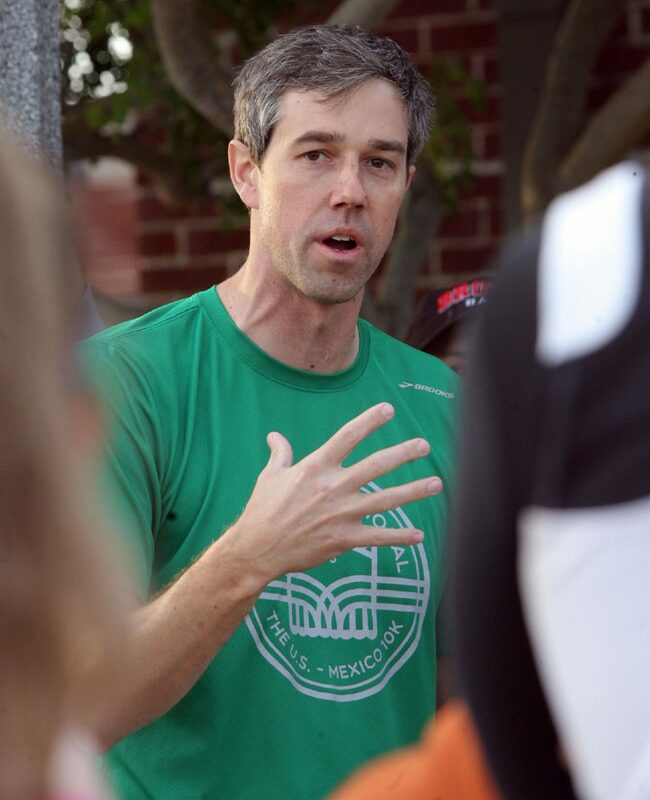 McALLEN — A chef, a police officer, teachers, students and families joined Democratic Senate hopeful Beto O’Rourke on Sunday morning for a 5K jog beginning at Fireman’s Park. A day after hosting three town halls — one each in San Benito, Weslaco and Mission — roughly 50 people joined U.S. Rep. O’Rourke, D-El Paso, Sunday. “Our current senator hasn’t been here much,” a man said of Texas Republican Sen. Ted Cruz before the run started. “Has he been here running with you?” O’Rourke said. Beto O'Rourke talks with supporters before the start of a leisurely 5K run at Fireman's Park in McAllen on Sunday Jan. 7 ,2018. 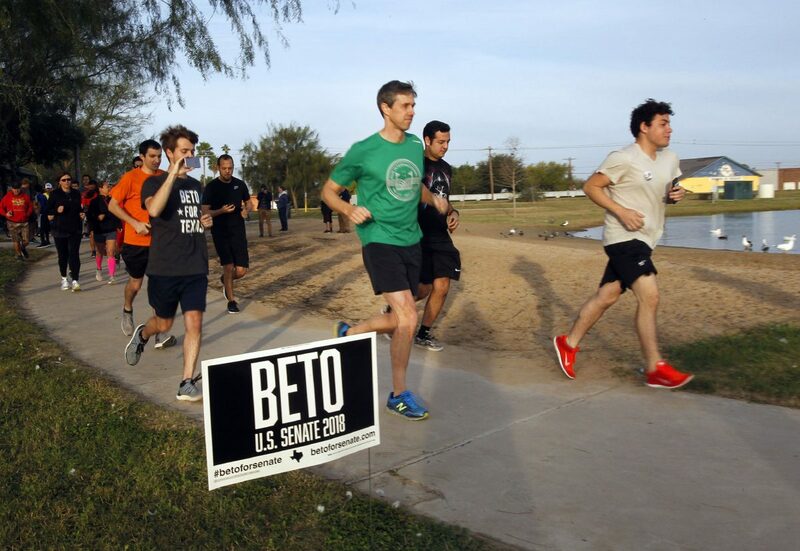 Beto O'Rourke runs a 5K along with supporters on the 2nd street trail near Fireman's Park in McAllen on Sunday, Jan. 7,2018. “They run away from us,” another man said of Cruz and senior Texas Republican Sen. John Cornyn. O’Rourke is challenging Cruz in the November election as Cruz concludes his first term in office. Cruz is clearly the favorite to win the general election, and despite the history and data that favors the incumbent, O’Rourke said he’s an optimist. His strategy partially revolves around hosting countless town halls across the state, hoping to bring people out who had not before been interested in politics. He’s hit nearly 200 of the 254 counties in Texas, often with town halls. Town halls have also been a feature of his six years in congress, hosting 88 of them in his El Paso district, he said. Throughout this campaign, though, he also tries to mix it up and hold events like Sunday’s run. O’Rourke encouraged the group joining him to run at a moderate pace so they could ask him questions throughout. After running along the 2nd Street running trail, the group stopped at the Pecan Boulevard intersection for a question session. The topics covered poverty, net neutrality and education, among other things. He explained how if your family is poor, there’s a strong chance you will be poor as well, because the school you attend doesn’t get the appropriate funding, which in turn leads to a lack of higher education and higher skill opportunities. He cited legislation he and his colleagues have worked on and, if elected senator, would work on further.